Kelly Miller, District 2 candidate pledges common sense leadership, launches new iPhone app allowing citizens to get to know her and understand the issues facing district two. I think most agree with my assertion that there is not enough common sense in government, and "career" politicians are the worst offenders. Some say, “When Times Get Tough, The Tough Get Going”. One Fresno City Council Member Candidate says, “When Times Get Tough, It’s Time To Get Creative!” This is the overriding theme of 30-year District 2 area resident, Kelly Miller’s, campaign. 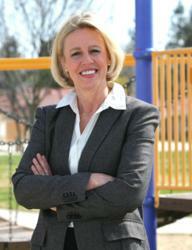 Miller’s greatest concerns are for the safety and wellbeing of the residents and businesses within her district. She has begun formulating common sense approaches to working around many of the City’s financial short comings. She has entered into discussions with local law enforcement and crime prevention groups - such as the Neighborhood Watch - to establish new procedures that allow these groups to better assist law enforcement. Her plans will save money, time and perhaps, lives.